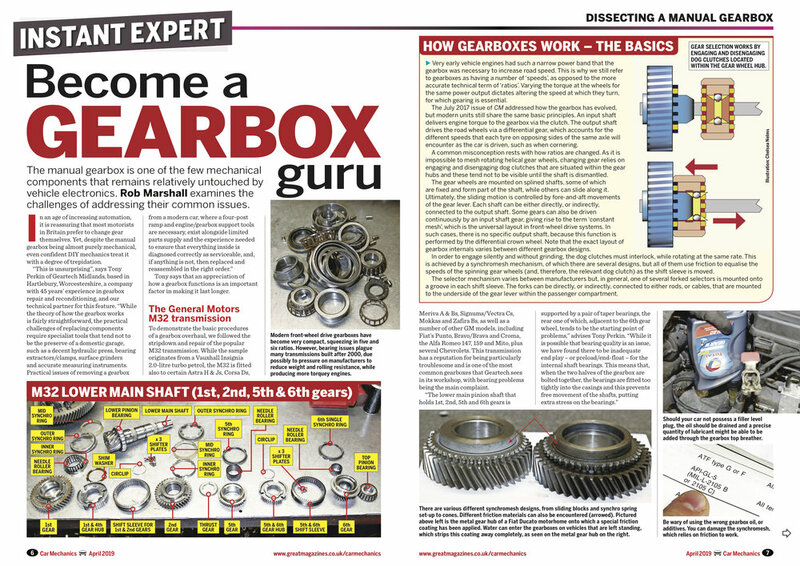 Manual gearboxes Increase the life of your transmission. Rustproofing Introducing the revolutionary T40 anti-corrosion treatment. Smartphone connectivity Control your vehicle using your mobile device. Alfa Romeo GT 2.0 JTS Part two: We perform a cambelt swap. 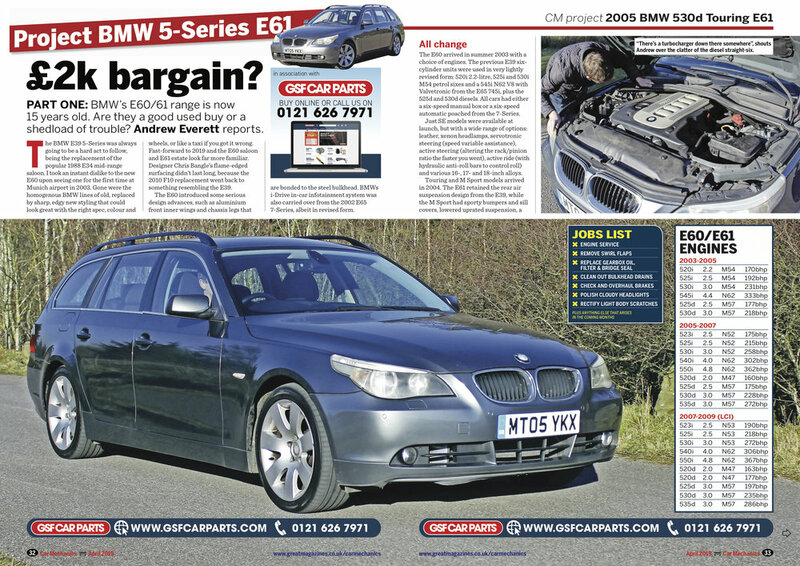 BMW 5-Series Touring 530d E61 Part one: Introducing our £2000 auction buy. Peugeot RCZ Buying the best. Dacia Duster Sourcing new and used parts. 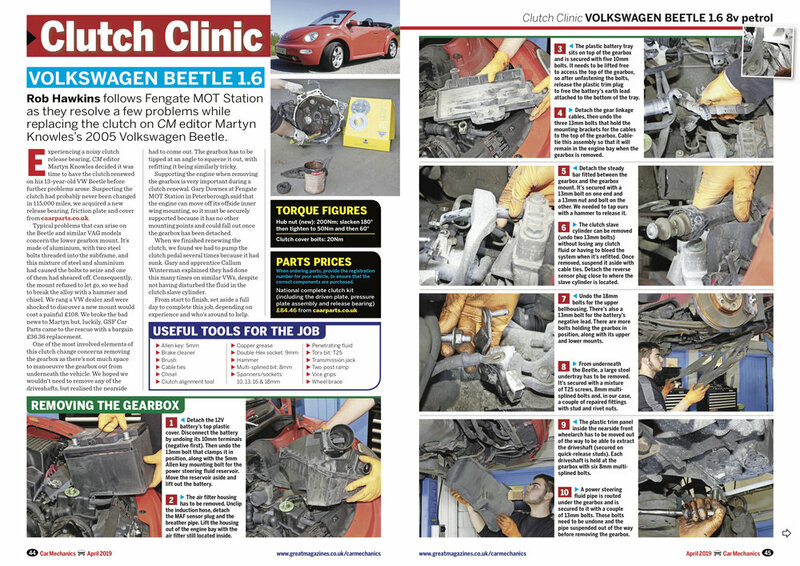 Volkswagen Beetle 1.6 Step-by-step clutch replacement. 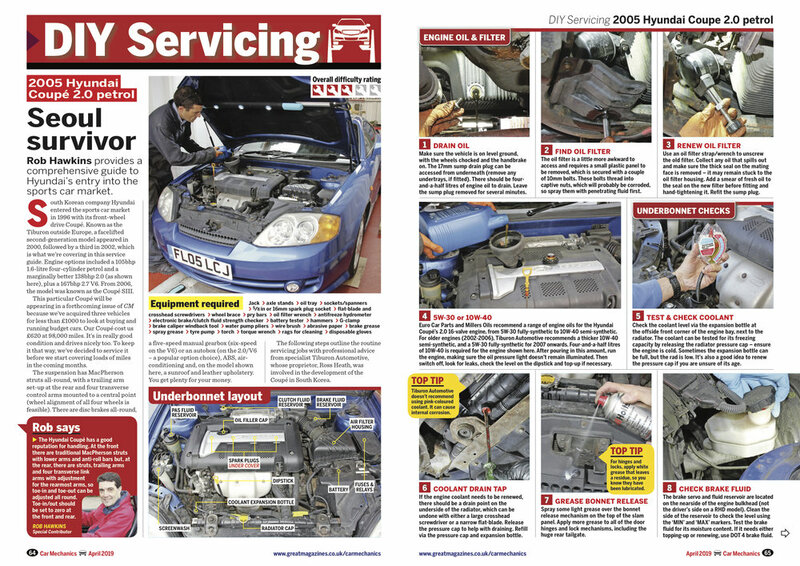 DIY Servicing Hyundai Coupé 2.0. Ford Fiesta 1.25 Duratec Electronic diagnostics. Auto electrics Part three: Series and parallel circuits. Dealer's Diary Stephen Ward bids farewell to the Twingo. Our Cars Craig Cheetham’s Peugeot 205. Readers’ Cars Jim Pace’s Skoda Octavia. In My Humble Opinion Mike Humble goes shopping for parts. WIN Clarke power washers Worth more than £250. WIN Draper adjustable work seats Five to win.